My wife and I spent one night at this RV Park. We were on our way to the Oregon coast and needed a place to overnight. This is a wonderful park, well maintained, grass between each site and lots of nice shade trees. Good water pressure, ok wifi, free cable TV and very long, level, cement sites. There really is no "sign in" office, the camp hosts whose site is right inside the entrance take care of all that business. They are very friendly and gave my wife and I lots of ideas on where to get food, etc., in the surrounding towns. The only downside, and in our opinion it is not really a downside, is that this park is connected to a Pilot Truck Stop. There is separation, but it can be a bit noisy. On the positive side, it made it real easy to get fuel and a quick snack on our way out. If we are coming through this area again, we will stay here! We camped at Pilot RV Park in a Fifth Wheel. I don't give out many 10's but this park is outstanding. First, they had the cleanest rest rooms I've ever seen in an RV park in our 10 years of travel. They are meticulous about the appearance of the park. There is a nice grass strip between each site, not weed, but soft to the feet green grass. There are also trees between the sites. They are constantly watering to make sure the grass stays green. The folks running the place are wonderful. The WIFI was strong and the cable TV good. This is the best place to stay when you are visiting Capitol Reef National Park. We will stay there again! We camped at Wonderland RV Park in a Fifth Wheel. My wife and I stayed on the "resort" side of this RV park. That means our sites were cement, very very long and wide, and wonderful plants and trees. We also had access to the resort side pool and hot tub. The folks running the place were very helpful and kind. The cable TV worked great as did the WIFI (you are advised that the WIFI is not for downloading or streaming and they do monitor and disconnect you for any violation). We used the laundry room which had new machines which worked good. They could use to put up a hanging bar in the laundry room to help make things easier. Overall it was a wonderful stay. But if we stay here again, we will save about 20 bucks a night and not stay on the resort side. We camped at Portal RV Resort and Campground in a Fifth Wheel. 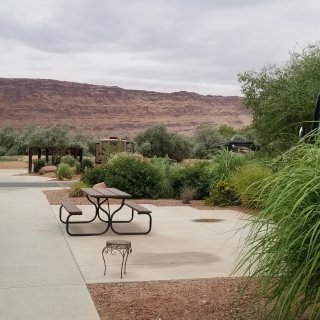 My wife and I stayed at Rifle Gap State Park for 2 nights. The park is located up on a hill outside the town and the views are wonderful. The park was very clean and quiet ... well except for the birds in the morning but no complaints about them. The cement pad was long enough for our 41' 5th wheel. One word of caution, the area next to the pad that has the hookups is filled with rather large, rounded, rocks. Make sure you give yourself enough room on that side of your rig so you don't have to navigate your way through the ankle breakers each time you have to access your utilities. Other than that, it was a wonderful place to rest for a few days. 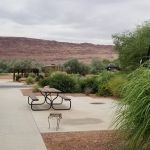 We camped at Rifle Gap State Park - Lakeview Loop in a Fifth Wheel. My wife and I have been to this park several times, it is our favorite in Buena Vista. There are lots of trees, the spaces are plenty long, and you are right in the hub of activity for the town. The folks who run the place are very friendly and helpful. We would gladly stay there again, and again! 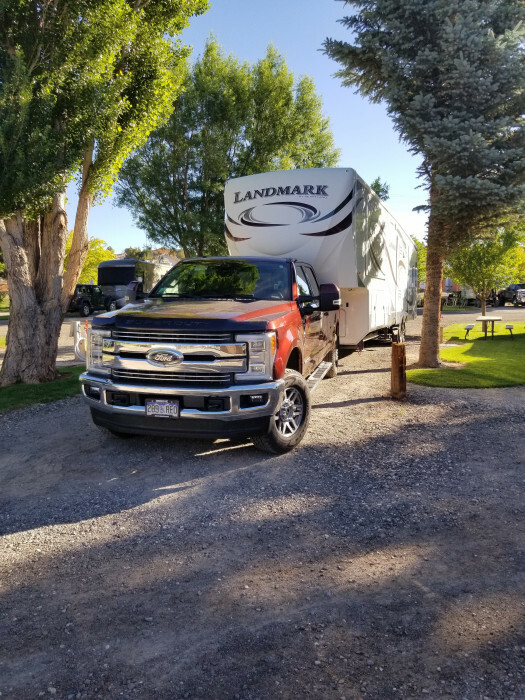 We camped at Snowy Peaks RV Park in a Fifth Wheel. Make sure you visit the towns of Leadville, and Salida! You won't regret it. 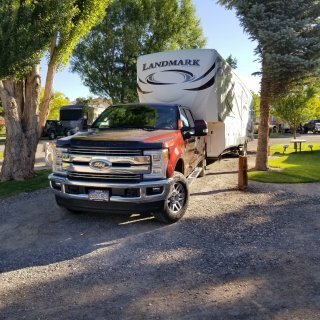 We stayed at the Cherry Creek State Park campground for 9 days starting on 25 May 2018. We've stayed here many times before and have always found it to be an excellent location, never had any complaints. The reason for my 3 star service rating is because while they were cutting the grass (and overall it was neatly maintained) around our trailer, the grass (or should I say weeds), were very high and that lead to a bunch of mosquitoes being all around our trailer all day and night. It was just about impossible to go outside of the trailer without dousing yourself with bug spray. In all, the other times we've stayed at this park this has never happened and in walking around the camp, the bugs seemed to just reside around our spot. To me, this was clearly due to the Camp not keeping up with the cutting as they should. Other than feeling like we were human bug food, it was a very good stay and I would strongly recommend this park to anyone staying in the Denver area. We camped at Cherry Creek State Park in a Fifth Wheel. We stayed here so we could visit Sand Dunes National Park. When we arrived, it was almost 10:00pm. True to their word, there was our reservation taped to the door. Just as we were getting ready to find our spot, two of the folks that work at the KOA showed up and helped out. We ate breakfast both Saturday and Sunday at the KOA tent. The cost was $5.00 per person and included all you can eat pancakes and sausage. Our site was pretty level, it had a slight tilt to the left. The KOA was very clean and quiet. We were not able to hear any road noise during the night. Their Wi-Fi was solid. We rated this place an 8 because while it was a good, clean place to stay there was nothing really special to warrant a higher rating. If we go back through Alamosa again we would have no problem staying at the Alamosa KOA. We camped at Alamosa KOA in a Fifth Wheel. Great place to use as a base for seeing Yellowstone. The rate reflects discount for Passport America. We were there for the 4th of July holiday and the camp put on a real good BBQ spread. The staff is very friendly and helpful. The spaces are a bit tight but we had no problem with our slides. Spaces were gravel and mostly level. They had Wi-Fi for an extra charge so we just tethered off of our cell phone. Wish they had cable. We could not get any over the air channels. We did see a moose walking by the park when we were getting ready to leave. Again, great place that I will stay in again if we are in the area. We camped at Valley View RV Park in a Fifth Wheel. Great place to use as a base of operations for Grand Teton National Park. They did not honor Passport America discount because it was a holiday weekend so the price is the full price. Spaces were level and long (all spaces seemed to be pull through). They have free Wi-fi, but it was very slow, so I ended up just tethering with my cell phone and it worked fine. Lots of room between spaces meant you were not camped out on your neighbor's lap. The staff was very friendly and very helpful. Any issue brought to their attention was fixed immediately. They work really hard to make your stay enjoyable. You even get 10% off at the restaurant in town (there is only one) when you show them your registration for the camp. We would definitely camp here again! We camped at Teton Peaks Lodge & RV (formerly Teton Mountain View Lodge & RV Park) in a Fifth Wheel. "No muss, No fuss." That really does sum it up. This is a great place to park your rig and see the sights. Like other reviews have said, there are lots of full time folks here but the camp is very well maintained and the folks are real friendly. We stayed here on our way to Yellowstone National Park and we will stay here on our way back as well. We did not use their Wi-Fi because you have to pay extra for it so we just tethered off of our cell phone. If your RV needs repair they have a connection with someone who can come out to your site and fix things. Bottom Line: Great place, good price (ours reflects Passport America discount). We camped at Fort Caspar Campground in a Fifth Wheel. Came to Cherry Creek for a one night shake down of our new 5ver. I rate this place a 9 because it did not have cable TV. Other than that, it was a fantastic place to stay! Level, paved sites, some shade. Very, very, clean (they rake the gravel where your picnic table is, so it looks like a Japanese garden.) Without a doubt the best RV park we've stayed in yet. We camped at Cherry Creek State Park in a Fifth Wheel. Camped here as part of their attempt to sell their program. Got 3 nights free for attending a 90 minute presentation. Did not buy. But, the park is very nice and getting better (they are making lots of improvements). Our site was an older one next to cabins, but still mostly level and shaded. Very quiet location. One odd thing, the electric hook up was on the wrong side so it could be shared between two sites. Office staff said they did not know if there was a right or wrong side for utilities. Overall, would camp here again if in the area. I listed $1.00 for the fee, but it was free. We camped at Rushmore Shadows RV Resort in a Travel Trailer. Very strong Wi-Fi and they seem to have a lot of repeaters throughout the camp so I would assume that it was strong everywhere. Very friendly staff. A couple of concerns. The site we were at required my discharge hose to go up hill some so that made things a bit complicated when it was time to leave and dump my tanks. Also, the connector at the sewer site for my site was broken so the top would come off if I did not put a rock on it. The site itself was pretty level just needed to adjust a bit to get the bubbles in the center. Very quiet camp. Great views especially at sunset. Great location right outside of Santa Fe. It only took about 10 minutes to get to the city plaza. We would definitely use this park again if we come back through this area. We camped at Santa Fe Skies RV Park in a Travel Trailer. We stayed here one night on our way back to Denver. The staff was very friendly and helpful. They guided us to our site and helped some with set up. The 7 rating is due to a couple of things. First, to have a name like lakeside you would think that they were located near a lake. But you can not see the state park lake from their location at all. Next, they did have Wi-Fi but it was very weak. There also were no picnic tables at the sites but the sites were very wide (wide enough for our truck to fit in next to our trailer). Overall, if I was going through the area again I would stay in the state park. Much nicer sites and they do have a view of the lake and they are much cheaper. We camped at Elephant Butte Lake RV Resort in a Travel Trailer. We stayed here as part of our spring break getaway from Denver. It is a great Famcamp real a very friendly and helpful host. The covered area for the picnic tables was a big plus in the afternoon sun. Not much bother from the aircraft noise or the noise from the main road. I was a little worried getting onto the base because the commercial gate was close so I had to use the main gate which had very narrow access. But my trailer fit with about 1 foot on each side. The base is a great focal point for traveling around the area. I would stay there again! We camped at Holloman AFB FamCamp (Military FamCamp) in a Travel Trailer.